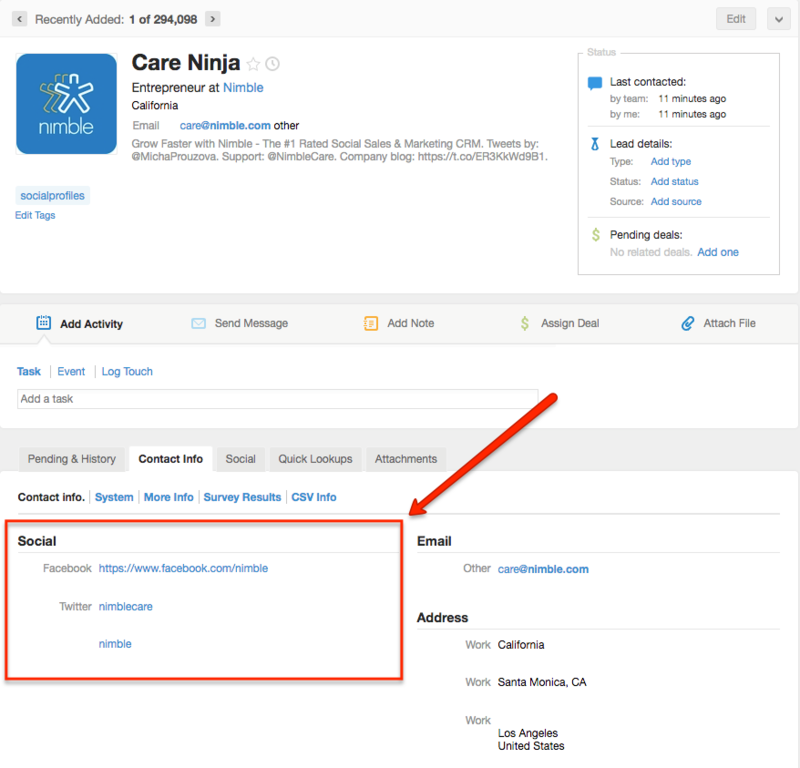 You may now import social profiles along with other contact information when importing a CSV file to Nimble! When creating your CSV file, simply include headers for the social profiles you wish to import. After you have saved your file in CSV format and begun your import using our CSV Import Wizard, make sure that the headers in your CSV file have been mapped to the appropriate social profile fields. If Nimble does not do this automatically, you may do so by clicking on the dropdown and selecting the correct field name. When your contacts have been imported to Nimble, their social profile information will be added to their Contact Info, under the "Social" section!